The hummingbird moths were plentiful this summer, although they are disappearing now that the cooler weather is approaching. 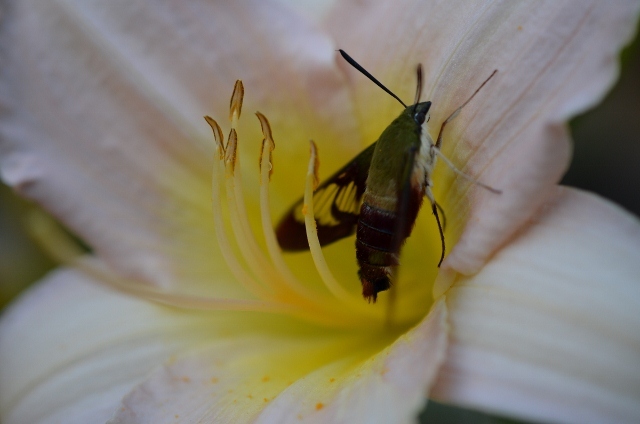 Here is one visiting a day lily that was actually still for a few moments. 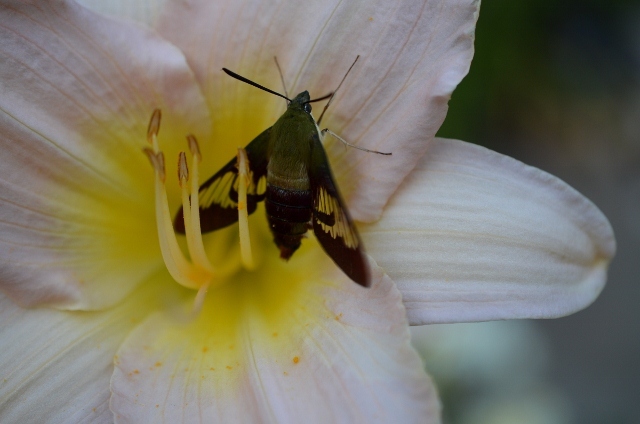 Never heard of a hummingbird moth! beautiful.